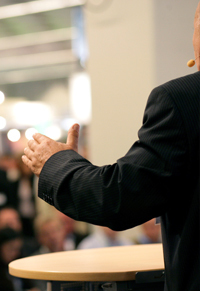 Purchasing Professionals Need Negotiation Training To Save Money. Purchasing's contribution to the success or failure of an organization has never been greater, and negotiation has never played a greater role in purchasing. Our current global economy is marked by rising competition, obsessive cost-consciousness, and dwindling margins; so a few percentage points won or lost in negotiating are critical. Tomorrow, those same few percentage points will be decisive. The future of every organization will be increasingly influenced by the negotiating skills of its buyers. 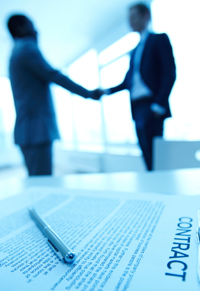 Negotiate to WIN® for Purchasing Professionals guarantees that those skills will be nothing less than exceptional. In Negotiate to WIN for Purchasing Professionals, Common Ground applies Negotiate to WIN, our proven, award-winning flagship program, to the trends, practices, and technological innovations of today's fast-paced purchasing environment. Negotiate to WIN for Purchasing Professionals is the ultimate buyer's negotiating course; it's a unique combination of results-focused practicality, outstanding training materials, and world-class negotiator-instructors. It has helped thousands become gifted negotiators. Negotiate to WIN for Purchasing Professionals is intended for both new and experienced purchasing and supply management professionals, personnel who interface with purchasers or suppliers, sourcing team members, cost analysts, engineers, and production, inventory control, transportation, distribution, and quality professionals. Team attendance is encouraged. Negotiate to WIN® is not a prerequisite. Like Negotiate to WIN, Negotiate to Win for Purchasing Professionals creates a "high-immersion" training environment for maximum participation and learning. Instructional methods include multimedia, lecture, group discussion, diagnostic tests and evaluations, simulations, and other interactive techniques. During the program, students are regularly challenged to demonstrate what they've learned through generic and customized case study simulations. 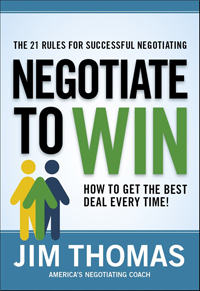 Negotiate to WIN for Purchasing Professionals is typically a two-day program. However, program length can be adjusted to fit your requirements—from under one hour to two or more days. Common Ground's experienced and internationally renowned facilitators bring an abundance of practical and creative solutions to any training situation. Please click here for information about our instructors. Many firms promise tailored programs but deliver the same tired old materials. Common Ground International is different. When we say tailored, we mean it. We work with you to ensure that Negotiate to WIN for Purchasing Professionals thoroughly and specifically addresses your organization's priorities and concerns. We interview your people and (confidentially, of course) we learn your business—who you are, what you do, how you do it, where your industry stands and where you stand in your industry, what your short- and long-term objectives are, what circumstances your negotiators face, and who your target audience will be. With this information in hand, we prepare unique training materials for you. Tailored case studies, lifelike scenarios that students can instantly relate to, are the best way to clarify, validate, and reinforce classroom concepts, and make them immediately transferable to the workplace. Common Ground is unsurpassed when it comes to the creation of unique, client-specific exercises. At no additional charge, we work in partnership with you to develop convincingly realistic scenarios that will excite and inform your attendees. Negotiate to WIN for Purchasing Professionals is flexibly designed to complement and reinforce your organization's current purchasing training. Global sourcing; trade and import issues; "Incoterms"
How often should you ask for lower prices? In all aspects of their work with Common Ground, clients are assured of complete confidentiality. Our commitment to discretion and privacy encourages clients to give us access to the information we need to customize Negotiate to WIN for Purchasing Professionals for maximum participation and learning. Upon request, Common Ground International will be pleased to formalize this promise with a Nondisclosure Agreement. Participants receive a variety of valuable in-class and take-home handouts and tools, including checklists, case studies, samples, guides, a pocket reference card, and a personal action planner. All participants who do not already have one receive a copy of the outstanding Negotiate to WIN for Purchasing Professionals Manual, a practical negotiation reference they will continue to use long after the workshop. Our guarantee is very straightforward. We think it says a lot about the effectiveness of Common Ground training. We guarantee that within two weeks after Negotiate to WIN for Purchasing Professionals, you'll recover the price of the session through better negotiating. If not, we'll refund your money.